One place, one word. Sonoma. I am so excited that I had the chance to go to Sonoma Raceway for the Cars 3 Press Day several weeks ago. This experience was surreal! Driving into this raceway was so neat because I had never been before! Pinch me! Did I really go here?! 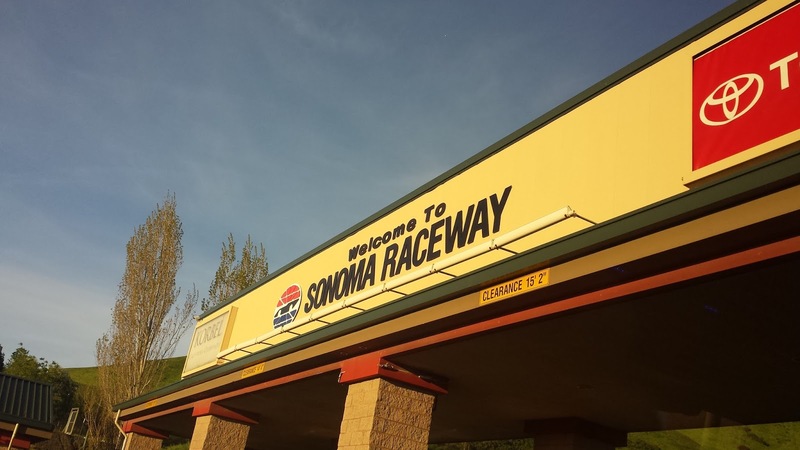 Sonoma Raceway is located in wine country. The location is GORGEOUS. The raceway is the coolest thing I have ever seen! When we arrived, we were greeted by these gorgeous cars and we started our day! One of the first "lessons" was The History Of Racing". You see, when they are making Cars 3, they have to do research about cars, history and more. 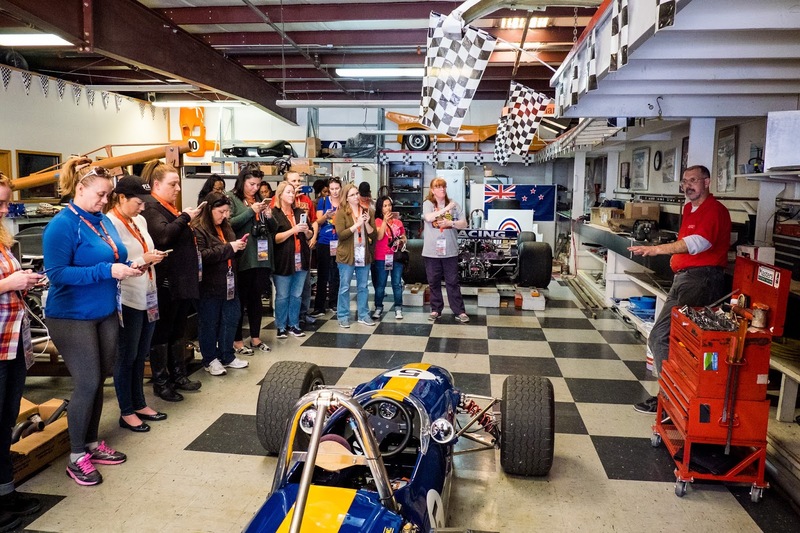 We learned so much about the history of racing and it was amazing. Our presentation of The History Of Racing was given by Creative Director Jay Ward and Ray Evernham. YES, THAT Ray Evernham! We learned SO much about the history that I did NOT know about and I was amazed! Legends from the REAL racing world are in Cars 3 as a tribute in a way! Junior Johnson – (Junior Moon in Cars 3) – a bootlegger who went to prison, yet became a champion crew chief and brought the first sponsors to NASCAR. He is still alive and PIXAR met him. They even let him record his own character! Did you know that Johnson now owns Midnight Moon, a distillery company that distributes a legal version of his family’s old moonshine recipe?! How cool is that!? It was surreal learning about the history of racing, and learning about the legends of racing that are in Cars 3! 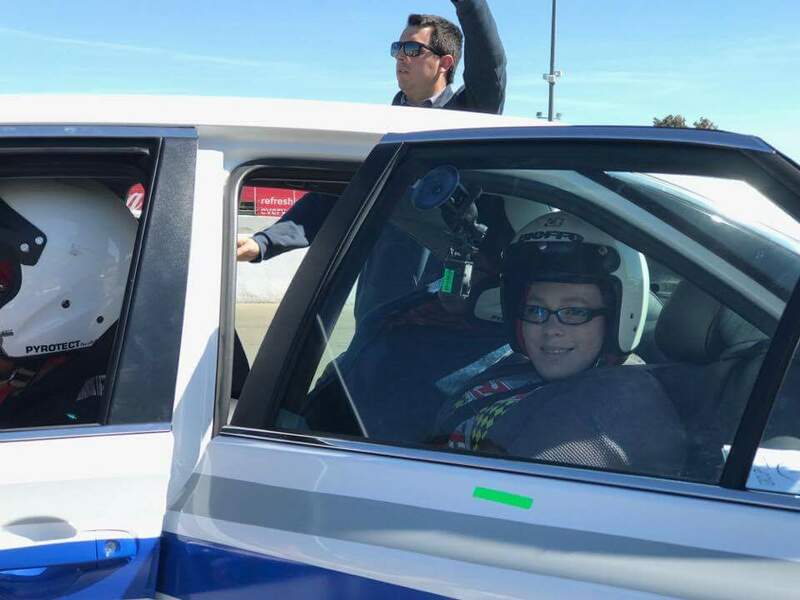 After presentations, we were able to ride in a race car. Holly from I Like It Frantic, Barb from Rural Mom and I were in a car together! This was AMAZING. FUNNY as can be! We were given Go-Pro videos, however, my Maltipoo ran off with my memory stick! Barb was nice enough to let me use hers. I am beside her in the back seat here. Going 90+ MPH was scary! 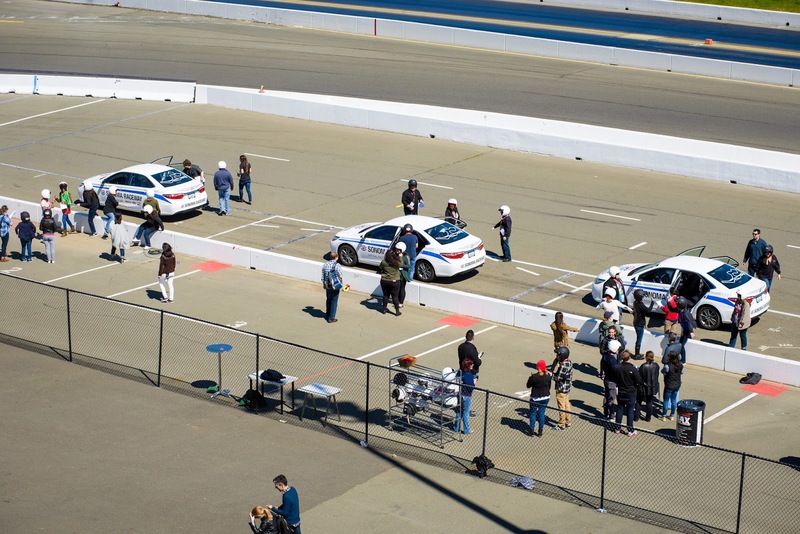 The "Cars 3" Long Lead Press Days, held at Sonoma Raceway, including presentations by filmmakers, a press conference and raceway activities, including hot laps, held on March 28, 2017 in Sonoma, Calif. (Photo by Marc Flores) We learned how to change a tire on a race car and they gave bloggers a chance to race and see who can do it the fastest! 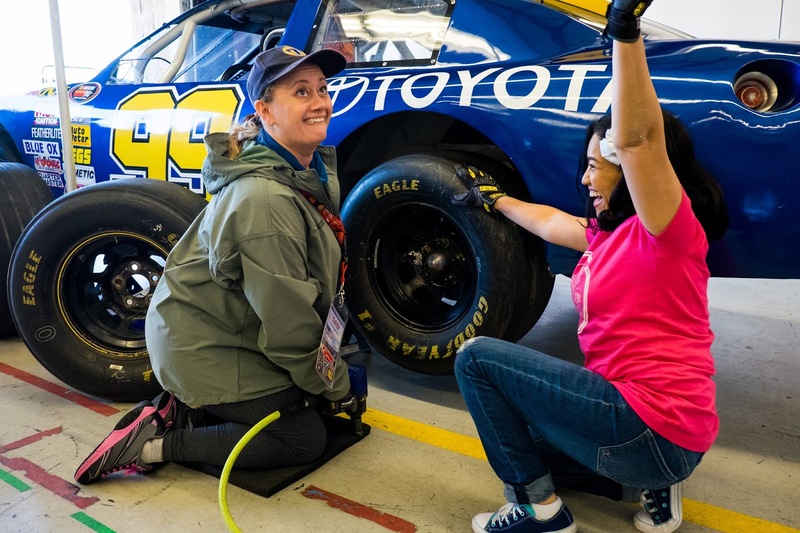 The "Cars 3" Long Lead Press Days, held at Sonoma Raceway, including presentations by filmmakers, a press conference and raceway activities, including hot laps, held on March 28, 2017 in Sonoma, Calif. (Photo by Marc Flores) Laura from Celebrate Woman Today and Elayna from The Postive Mom! 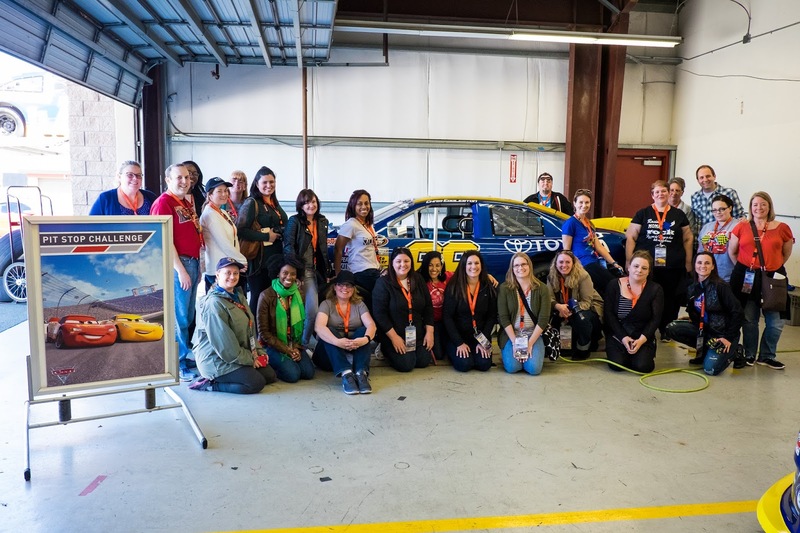 The "Cars 3" Long Lead Press Days, held at Sonoma Raceway, including presentations by filmmakers, a press conference and raceway activities, including hot laps, held on March 28, 2017 in Sonoma, Calif. (Photo by Marc Flores) Press day bloggers! I miss them all already! 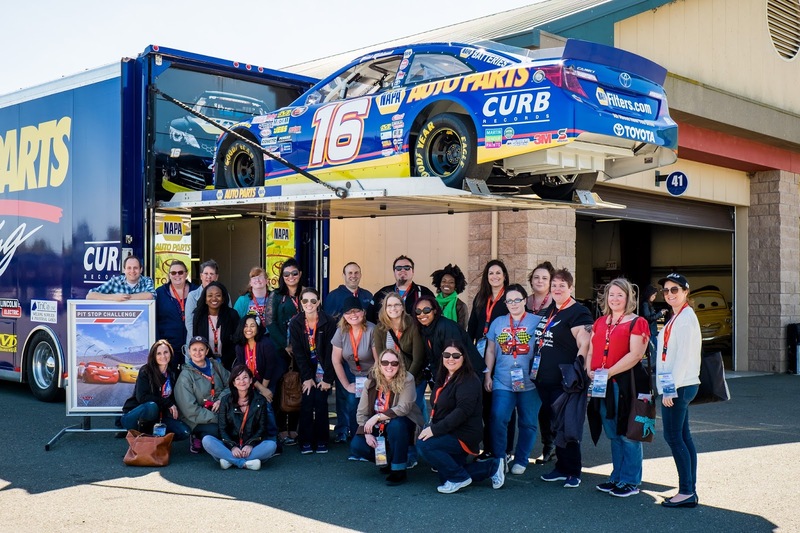 The "Cars 3" Long Lead Press Days, held at Sonoma Raceway, including presentations by filmmakers, a press conference and raceway activities, including hot laps, held on March 28, 2017 in Sonoma, Calif. (Photo by Marc Flores) Group photo under a race car! We got to go inside of the trailer to see how everything works on the road! Touring The Garage We were able to take a tour of two garages. 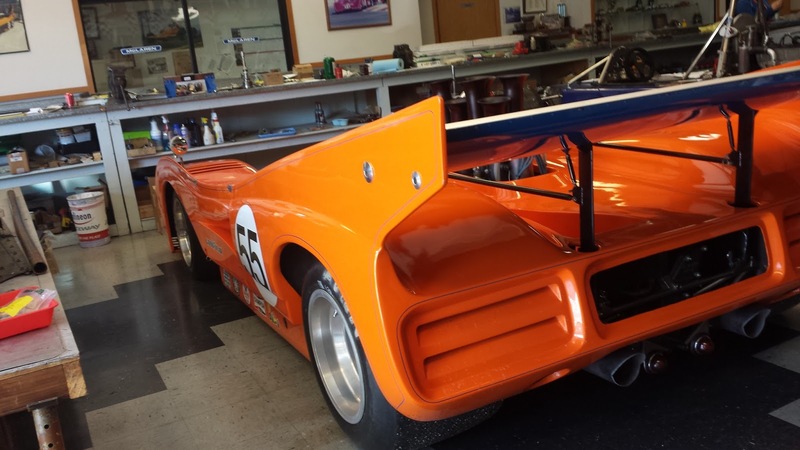 Tony Nicholson of Robin Automotive (a garage on site at Sonoma Raceway) gave us the rundown on how things go and what he has to do to prepare for a race! 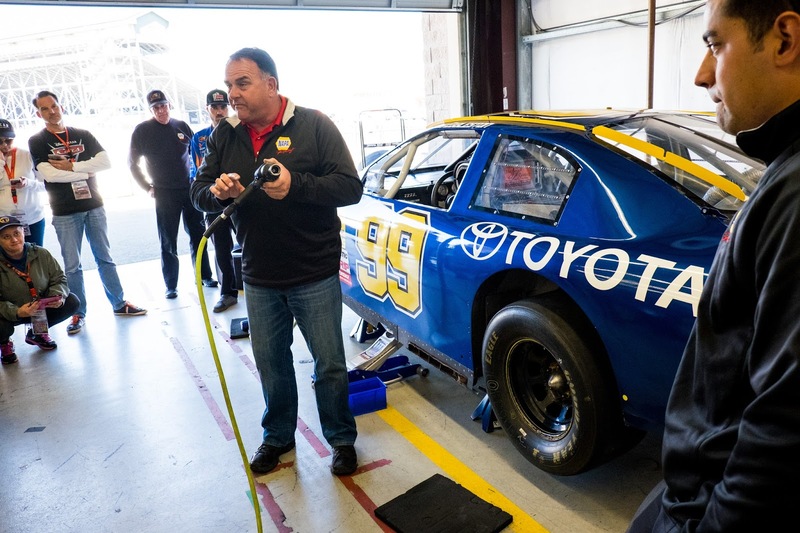 The "Cars 3" Long Lead Press Days, held at Sonoma Raceway, including presentations by filmmakers, a press conference and raceway activities, including hot laps, held on March 28, 2017 in Sonoma, Calif. (Photo by Marc Flores) It was so neat hearing about his career and how long he has been here! 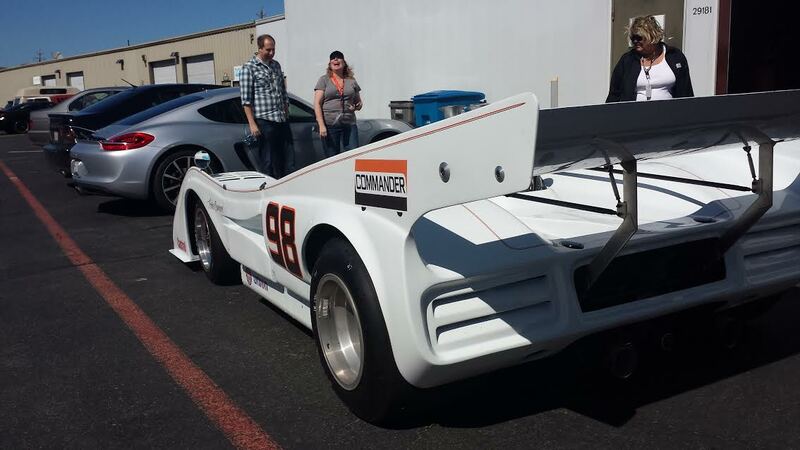 These race cars were pretty amazing too. 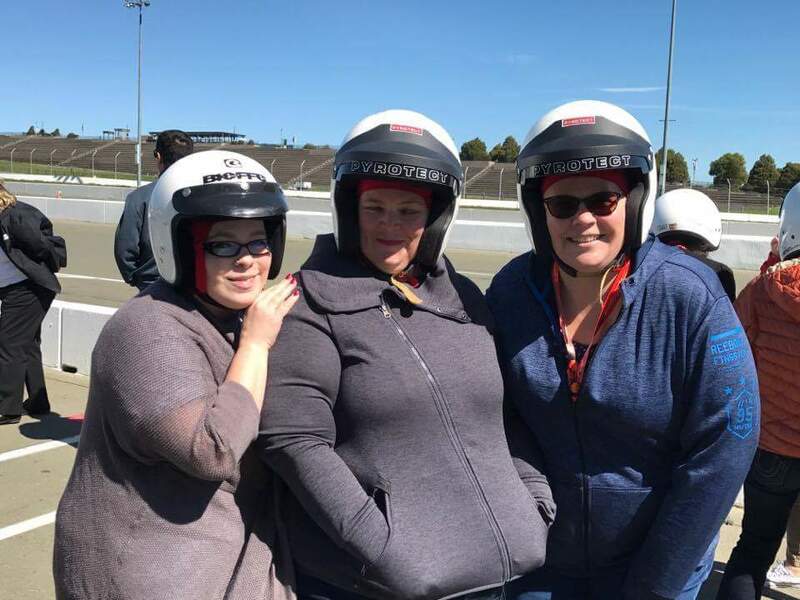 Overall, I loved my trip to Sonoma Raceway. It was a surreal experience seeing this side of the racing world so that I can understand the animated side of it too! Speaking of Cars 3, I have a new trailer for you that you can't miss out on! We saw 40 minutes of this movie, and let me tell you, you will NOT be disappointed! What an awesome adventure! 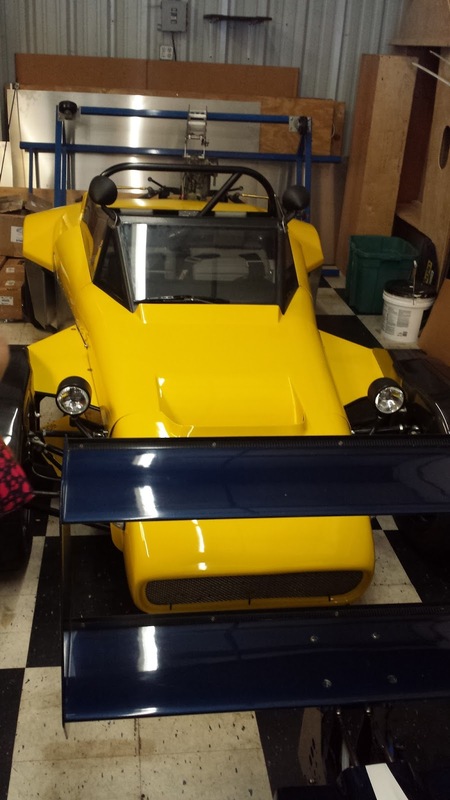 I would love to visit a press day looking at Cars and seeing all the fun things! I would love the opportunity to sit in one of those cars! What a fun thing for you and the other great female bloggers. My favorite activity you guys did was changing the tire! Cars 3 looks incredible and a fun movie to take the kids to see! What a fun day! 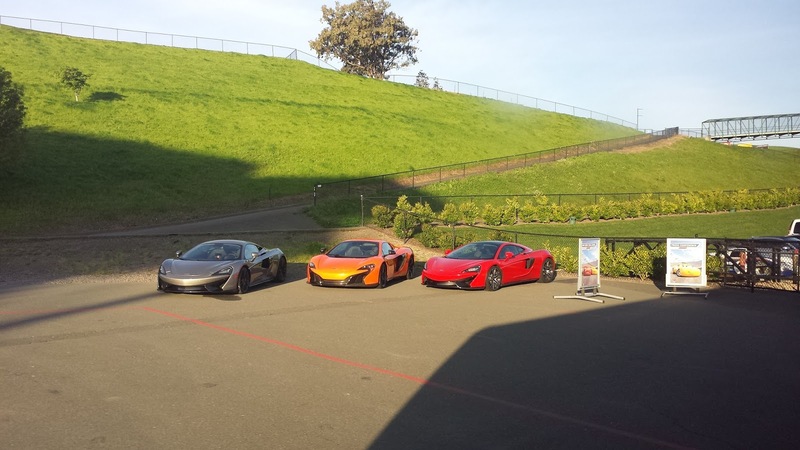 Normally cars don't get me that psyched up, but this outing in Sonoma looks like a blast for you and the bloggers! Looks like a blast! 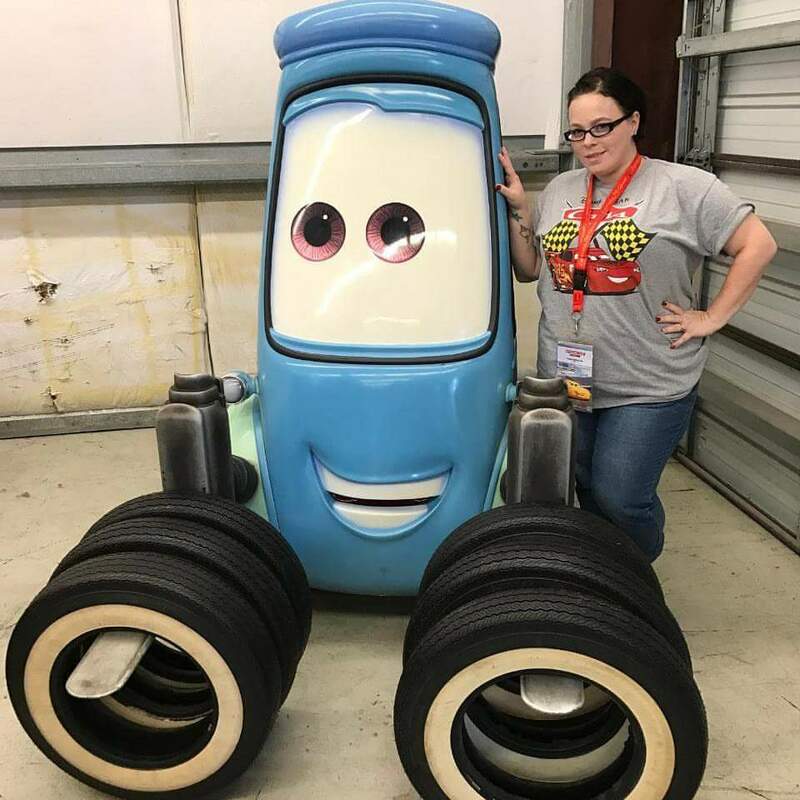 I'm looking forward to the release of Cars 3 and would definitely love to take a ride in those racecars one day, even though I'm totally freaked out! That seems fun and exciting, learn a lot too. Looks awesome for Cars fans! I would love to drive one of these cars!